In 2014 Kanye West famously criticised the fashion industry for discriminating against him for being famous and black. “Cause you know damn well there aren’t no black guys or celebrities making no Louis Vuitton nothing,” he announced, mid-performance at London’s Wireless festival. Less than four years later, partly as a result of West’s influence, the fashion landscape seems to have significantly shifted. Last week his friend and collaborator Virgil Abloh was appointed men’s artistic director of Louis Vuitton, in one of the most dramatic shake-ups in recent menswear history. Two weeks ago UK streetwear label A Cold Wall – founded by Abloh’s former creative consultant, Samuel Ross – was announced as a finalist (and favourite to win) in the prestigious LVMH prize for new talent. Elsewhere West’s former art director Heron Preston has collaborated with Nasa for autumn/winter 2018 and launched his first womenswear line. And Matthew Williams of Alyx Studios, who was part of the rapper’s design agency, Donda, has also become a rising star. Given that all these can trace their influence back to West, is fashion witnessing the Kanye effect? 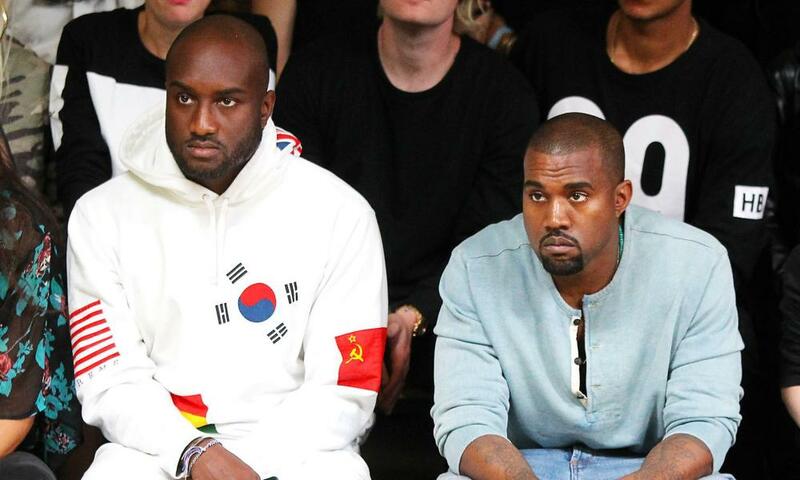 Abloh has been tipped for the top job at a fashion house for months but his move to one of the biggest labels marks a huge shift in direction for high-end menswear. Not only will Abloh become one of the most influential designers at a major label – other top black designers include Olivier Rousteing at Balmain and previously Ozwald Boateng at Givenchy – when he starts the job in June, his appointment also proves that streetwear is no longer the antithesis of catwalk fashion. “Virgil is incredibly good at creating bridges between the classic and the zeitgeist,” Michael Burke, chief executive of Louis Vuitton, told the New York Times. Burke met Abloh over a decade ago when the designer was interning at Fendi and Burke was the Italian label’s chief executive. Louis Vuitton is estimated to be fashion conglomerate LVMH’s top-selling brand, with annual sales of more than €9bn (£7.9bn), the largest in the luxury industry. In handing the baton to a young, black American from Illinois with almost no fashion training, LVMH is showing an increased recognition of the power of streetwear, a contentious term sometimes deemed to be racial code but which Abloh uses freely. Just last autumn Vuitton collaborated with the skateboarding label Supreme. Yet less than 20 years ago it issued a cease-and-desist order after Supreme put Vuitton’s monogram on its skateboards.